Kuala Lumpur is a capital of Malaysia, as well as the most populous city in Malaysia. Kuala Lumpur (KL) is located on the eastern coast of Peninsular Malaysia. It was founded in 1857 by Chinese tin miners. So, it is a relatively new city. Kuala Lumpur is one of our favorite cities in the world. And just in the last 2 years we have been to KL several times, twice we stayed there for a whole month! First we came to Kuala Lumpur in 2014, on our way from India to Langkawi island, which is located in the northern part of the country. We had arranged a volunteer work there, but our initial plans changed a little bit and we stayed in KL longer than we planned to. During that first stay we got to know this city very well. And during other visits we still found out about other places we didn’t even know existed. Kuala Lumpur is popular because of Petronas Twin Towers (see the picture above). Until year 2004 they were regarded as the world’s tallest buildings. Now they still are noteworthy as they are the world’s tallest twin buildings. And they look really good! Kuala Lumpur is a famous stopover destination on the way to other countries in Asia, Europe and Australia. One can find a lot of cheap direct flights to and from various destinations in Asia and various cities in Australia. As well as affordable direct flights to and from Europe (London, Frankfurt, Paris; mostly via Malaysian Airlines). There are 2 airports in KL: Kuala Lumpur International Airport (KUL) and Sultan Abdul Aziz Shah (SZB) Airport. Kuala Lumpur International Airport (KUL) is Malaysia’s main international airport and one of the major airports in all South East Asia. 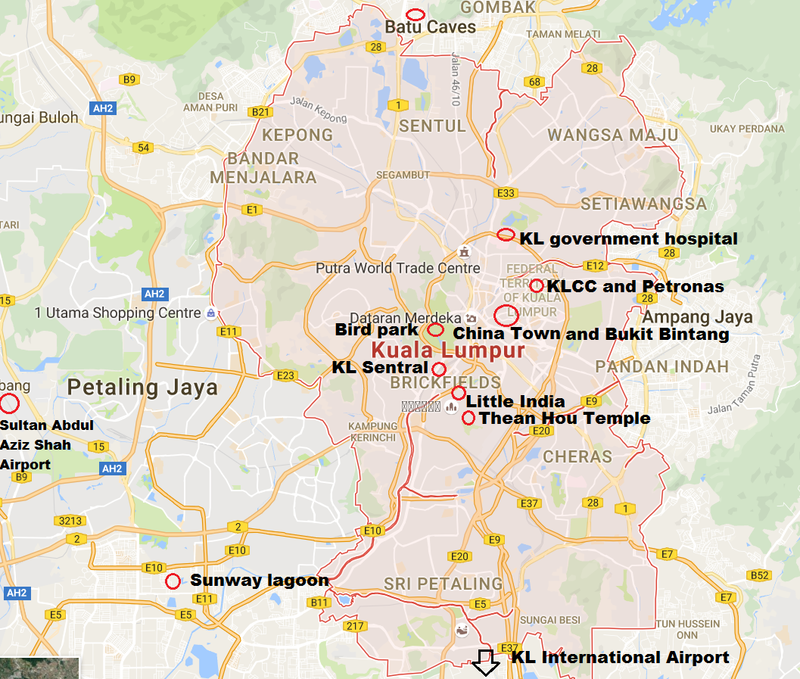 KUL has two terminals – KLIA 1 and KLIA 2. KLIA 1 is used by big international companies such as Emirates, KLM, Lufthansa, Malaysia Airlines, Air France, Singapore Airlines, Thai Airways, Turkish Airlines, Vietnam Airlines and many more. KLIA 2 is the low-cost airline terminal. KLIA 2 is located few kilometres away from KLIA 1. Take an Airport Liner bus or Airport Express / KLIA Transit train to get to / from KLIA 2. Tickets cost 2 – 2,5 RM, which is less than 1 EUR/USD. When we were traveling from KLIA 2 to KLIA 1 we took a free bus, but unfortunately I can’t find any information about it now. We just stumbled upon this bus when we were searching for the bus which will take us to KLIA 1. Maybe there isn’t one anymore. KUL is located 61 km south of Kuala Lumpur, in Sepang district. To get there it takes about one hour by bus, half an hour – if you are traveling by train. You can get a bus or a train to Kuala Lumpur International airport at KL Sentral station. There are several bus companies providing rides to and from KLIA 1 and KLIA 2. The bus journey costs 10 RM (about 2.5 EUR) and takes one hour, as I mentioned before. Train is faster. There are two types of trains going to Airport – the fast one (Airport Express) and slower one (KLIA Transit). The journey with Airport Express costs 55 RM (about 14 EUR) and takes 28 minutes. KLIA Transit is cheaper and a little bit slower – the journey costs 35 RM (about 9 EUR) and takes 35 minutes. There is another airport in Kuala Lumpur – Sultan Abdul Aziz Shah Airport (aka Subang SkyPark). Unlike KLIA this airport is not the busy one. Only three companies operate there – Firefly, Malindo Air and Malaysian Airlines. There are direct flights to a couple of places in Indonesia, to Koh Samui island in Thailand, few cities in Malaysia and to Singapore. There is a bus to Sultan Abdul Aziz Shah Airport from Pasar Seni bus station (number U81). The ticket costs around 3 RM (0.75 EUR). Note – the bus numbers and routes can change, so check online before you go! There is also a bus shuttle service between Sultan Abdul Aziz Shah Airport and terminals of Kuala Lumpur International Airport (KLIA 1 and KLIA2). The journey takes a while, as the distance between the airports is about 60 kilometers. The tickets costs 10 RM (about 2.5 EUR). I find Malaysia’s intercity bus network well developed and easy to understand. Traveling by bus and train in Malaysia is easy. Kuala Lumpur’s main bus terminal is Terminal Bersepadu Selatan (TBS). Almost all long distance busses depart from TBS. To get there, take KLIA Transit train. The ticket costs 6.50 RM (about 1.5 euro). There is another one bus terminal – Pudu Sentral, which was used to be city’s main bus terminal a couple of years ago. Now it is used as a terminal for short distance buses. You can take a KTM Intercity train to Kuala Lumpur as well. KTM Intercity trains connect all major cities in Peninsular Malaysia. Also there are cross-border trains to Singapore and Thailand. Mostly Intercity trains arrive to / depart from KL Sentral. There are a lot of transportation options in Kuala Lumpur. Rapid KL is a public transportation brand in Kuala Lumpur. Rapid KL transportation system includes metro, monorail, train and bus networks. KL transportation system is easy to understand and efficient. Transport tickets are inexpensive. There are two metro lines in Kuala Lumpur: Ampang Line and Kelana Jaya Line. One monorail line and two KTM Komuter lines: Rawang – Seremban and Sentui – Port Klang. And of course KLIA Express and KLIA Transit. As I mentioned above, these go to the Airport. You can read more about transport in Kuala Lumpur and see the rail system map on Wonderful Malaysia website. Fares starting at 1,30 RM (about 0.3 EUR), depends on distance. There are a lot of Rapid KL buses, which are operating not only in Kuala Lumpur city but also outside of it, in Klang Valley. There are several bus zones / areas. For more information, check out Rapid KL webpage. Fares starting at 1 RM (about 0,25 euro), depends on distance and area. There are free buses in Kuala Lumpur as well. Theses ones are called GoKL City Bus. The buses are kind of pinkish-violet. So, it is easy to spot them, as the color is unusual. When we last visited Kuala Lumpur there were four of them: red (KL Sentral – Jalan Tuanku Abdul Rahman), blue (Medan Mara – Bukit Bintang), purple (Pasar Seni – Bukit Bintang) and green (KLCC – Bukit Bintang). Bus service is frequent – 5 minutes during peak hours and 10 minutes during non-peak hours. Use GoKL buses when you are going to Kuala Lumpur to sight-see! You can get to the most of the popular sights using these buses. Check out the GoKL bus line map. Taxis are very popular in KL. There are two types of taxis – budget (red and yellow) and executive (blue). Budget taxis are inexpensive. For a 10 km ride we usually paid about 12-16 RM (3-4 euro). During the night (from midnight until about 6 AM) rates are two times higher than in the daytime. Executive taxi, as the name suggests, are more expensive than the budget taxi. KL taxi drivers are popular online because of their dishonesty, quite lot of them tend to rip off customers and do not use a meter. Well, this can happen anywhere, actually. We have had only good experience with taxi drivers in Kuala Lumpur. If you are planning to use a taxi in Kuala Lumpur, try Grab app (Asia’s Uber; Uber isn’t available in KL anymore). I advise you to use booking sites such as booking.com or Agoda. 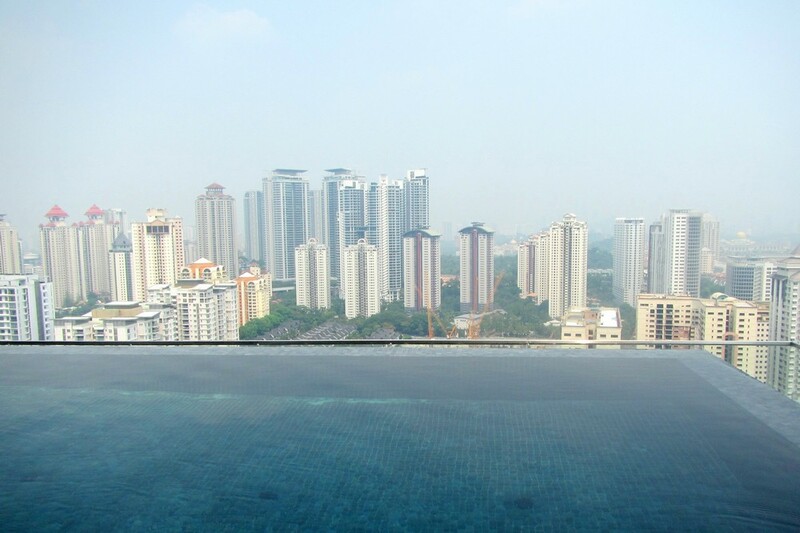 Kuala Lumpur is huge and it will be hard to find accommodation just wandering around, not knowing where you are going. And also quite often there are promotions on Booking.com and Agoda, that might help you to save some money on accommodation. The cheapest hotels, guesthouses and hostels can be found in / near China Town, Little India and Bukit Bintang. Prices start from 18 RM (about 4.5 EUR) for a dorm bed and from 36 RM (about 9 EUR) for a double room. Last time we stayed in Bukit Bintang in a room with a private bathroom and air conditioner for about 40 RM (about 10 EUR). A couple of times we stayed in a room which we rented via Airbnb, in Wangsa Maju neighborhood. But another time we booked a room in a guest house in Bukit Bintang which is close to the center and all the main attractions, because we calculated that it is cheaper than to go to the city center by metro every day. Especially if the room costs are almost the same. Have you ever dreamed to spend a night in a modern condominium? To swim in a pool on a roof and work out in a gym on twentieth floor? It is possible in KL and it is not something extremely expensive. Studio apartment near city center here come for a price of a cheap hotel room in Western Europe. You can also rent just a room in a condo apartment. Check the rentals on Airbnb! Register using our Airbnb link and you will get an extra discount! We will get a discount, too. You won’t end up being hungry in Kuala Lumpur as eateries and street food stalls are everywhere. If you are searching for a nice restaurant, go to a city center, touristic areas and big malls. A lot of nice restaurants are located in Bukit Bintang. For all tastes – Arabic, Western, Indian, Malay, Chinese, Mexican cuisine. Changkat Bukit Bintang is a street where a large number of Kuala Lumpur’s most popular bars and restaurants can be found. 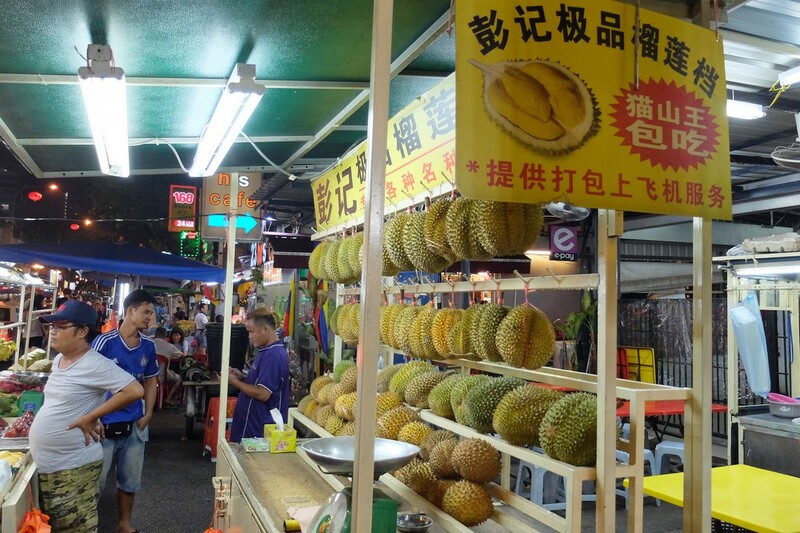 Apart from nice restaurants in Bukit Bintang you can also find cheap street food stalls. Head to Jalan Alor, which is one of the most famous roads in Kuala Lumpur because of its stalls and eateries. Jalan Alor is that place with plastic chairs and tables and hawker stalls and several Chinese seafood restaurants. If you have traveled in Asia, you probably know how these places look like. If not – this is your chance to see one with your own eyes. Hawkers on Jalan Alor sell wide variety of snacks as well, for example, grilled meat on a stick, fish, meatballs, and… grilled frog on a stick! Yummy! If you are searching for options for an evening out, head to Bukit Bintang, as it is regarded as Kuala Lumpur’s best party venue. Head to China town if you want to try authentic Chinese and Cantonese food in “real Chinese atmosphere”. Western restaurants can also be found there, but, of course, the main attraction of this place is savoring Chinese and Cantonese food and snacks. Large number of the restaurants are very simple – those with plastic tables and chairs. Overall every neighborhood has at least few eateries and stalls. When we were staying in Wangsa Maju, a neighborhood 10 km Southeast of Batu Caves, we saw a lot of different small restaurants, cafes and street food stalls. There was wide variety of food – Chinese, Malay, Indian, international. Pizzas, burgers and fried chicken. And there was a big mall as well. Food courts are very popular in Kuala Lumpur. More often than not they are located in shopping malls. The most popular ones are: KLCC Signatures food court in Suria KLCC, Food Republic in Pavilion Mall, Hutong Food Court in Lot 10 Mall and Sungei Wang Plaza Food Court. One of our favorite supermarkets in Kuala Lumpur is Auchan. Fresh bread, sweet buns, packed lunch and sushi are sold there. And after 8 PM these items are discounted (30% off). One more opportunity to save money, if you are on a tight budget! KL is a good place for shopping. On our way to Nepal we had more than 48-hour layover in KL, so we went shopping for upcoming adventure – Annapurna circuit trail. We visited several stores, markets and supermarkets and totally lost track of time. So, if you want a couple of days only of shopping, KL will not disappoint you. There are so many places to go to and totally immerse yourself into this task and actually feel like a shopaholic. On our last visit, when we were browsing for sportswear and some sports accessories, we discovered few good stores for this kind of shopping. Kaspars bought new Salomon shoes and Columbia rain jacket in Sogo KL Department Store. It was a good timing, as many of the items were at a discount, including the stuff we bought. I bought sports clothing in SportsDirect – a well-known discount shop both in Europe in Asia. There are several SportsDirect stores in Kuala Lumpur, but the one we went to is a flagship store outside KL, in Subang Jaya Industrial Estate, in Selangor. Just some forty-minute bus ride away from KL City. If you are looking for affordable souvenirs and handicrafts visit Central Market, which is classified as a Heritage Site. 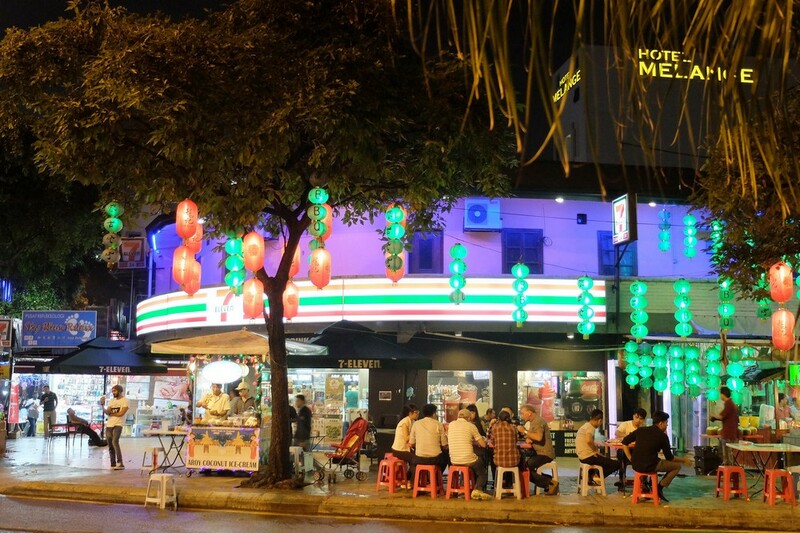 It is just a short walk away from famous Petaling Street. Go to Petaling street if you are looking for cheap clothes, sportswear and beachwear, shoes and accessories. Few street food stalls and restaurants are scattered here and there. That means you won’t be hungry during your shopping trip to Petaling Street. Another good option is Kasturi Walk. It is open-air market, similar to Petaling Street, but not so crowded. There you can find all the cheap stuff as well as fruit and food stalls. 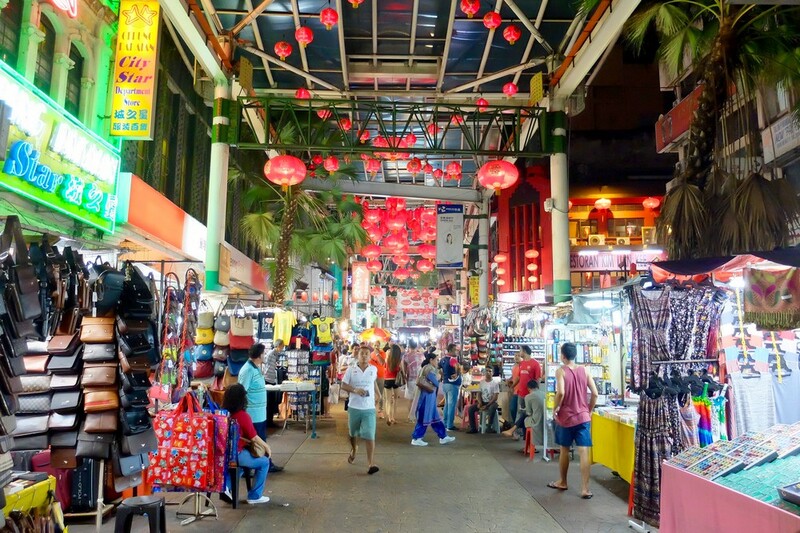 If you find these open air markets too busy, go to Kota Raya Shopping Complex, one of Kuala Lumpur’s oldest malls. Inexpensive clothing and shoes are sold there, too. If you are keen to buy some Indian goods and clothing, head to Little India! Colorful saris and kurtas, incense, Indian spices and groceries, Indian restaurants and street food – just to mention some of the things you can get there. There are a lot of malls in KL. The most popular ones are Suria KLCC, Pavilion Kuala Lumpur, Lot 10 and Sungei Wang Plaza. SOGO KL Department Store, which I have mentioned above, is one of the largest single department store in Kuala Lumpur and even whole Malaysia. Mostly designer and expensive brand clothes, sportswear and footwear are sold there. Time after time they have discounts, so you can end up buying good stuff surprisingly cheap. If you have been in Singapore and enjoyed shopping (or just walking around and looking) in Sim Lim Square, you most probably will like Plaza Low Yat as well. For those who don’t know – Sim Lim Square (Singapore) and Plaza Low Yat (in Kuala Lumpur) are grand shopping malls specializing in electronics. Plaza Low Yat is located near Bukit Bintang, as well as the popular malls – Lot 10, Pavilion and Sungei Wang. 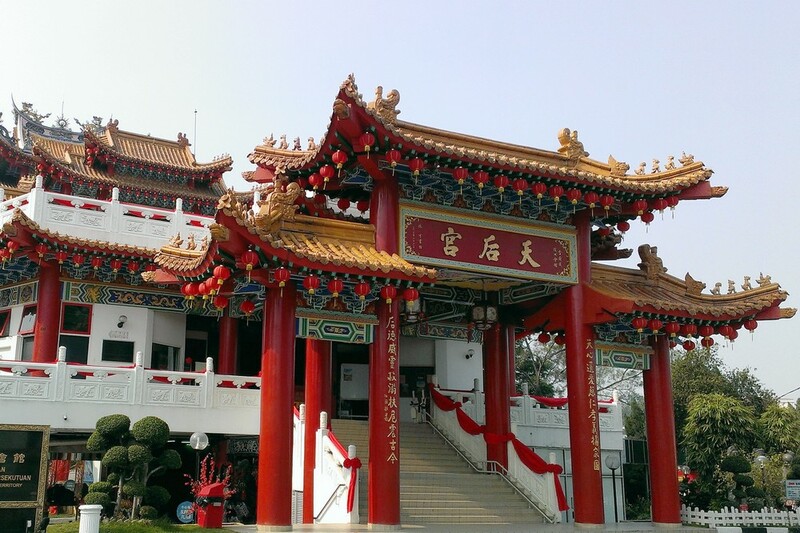 If you are interested in temples, definitely visit Thean Hou Temple. It is one of the oldest and largest Chinese temples in Southeast Asia. There is a turtle pond (a lot of cute turtles!! ), herb garden and a Bodhi tree on the temple grounds. 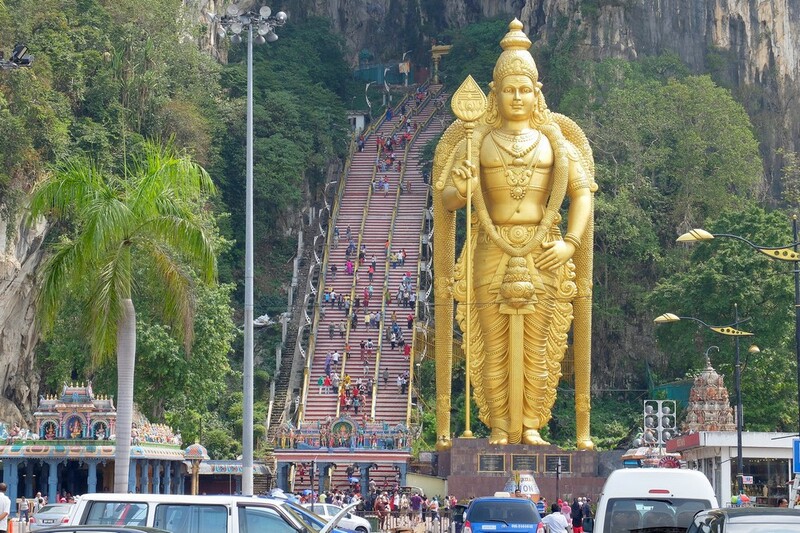 Another amazing place for temple lovers is Batu Caves. It is a limestone hill that has several caves and cave temples. This place is one of the most popular Hindu shrines outside India. It is located in outside Kuala Lumpur, though. But it doesn’t take too long to get there – about 40 minutes from KLCC. Our favorite attractions in Kuala Lumpur are Bird Park and Aquaria KLCC. Kuala Lumpur Bird Park is World largest free-flight walk-in aviary. Check out our pictures of this bird park! Aquaria KLCC is an aquarium located beneath Kuala Lumpur Convention Centre, under Petronas Towers. 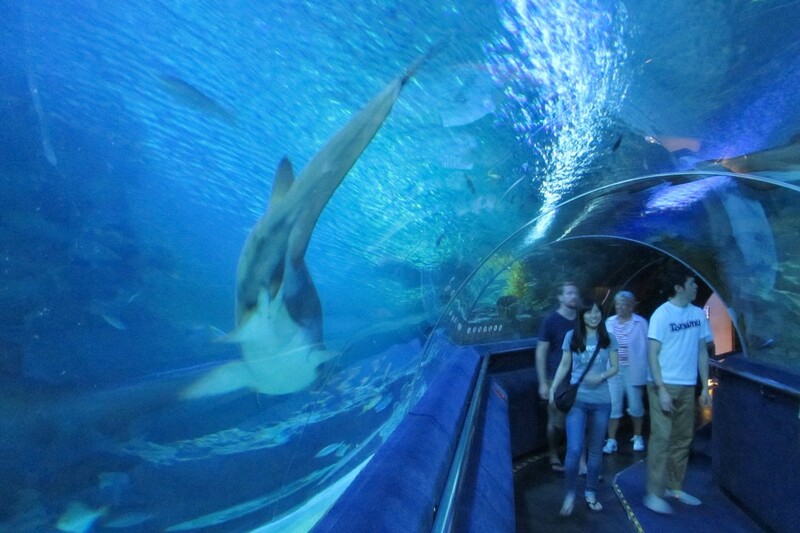 And it is one of the best aquariums in South East Asia. If you love butterflies, head to Kuala Lumpur Butterfly Park. 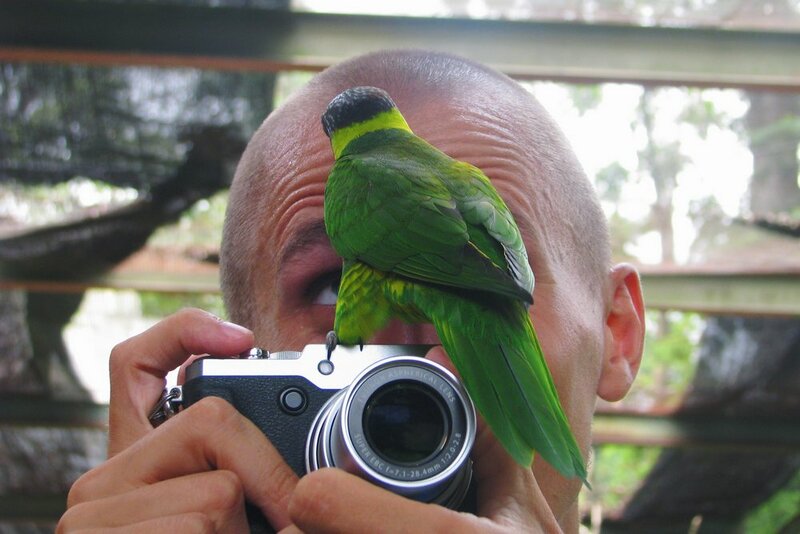 It is close to the Bird Park, so you can combine these two activities. Tickets for all these attractions are not expensive. Aquaria KLCC adult ticket costs 64 RM (about 16 euro), Butterfly park ticket costs 22 RM (about 5,5 euro), but Bird Park – 50 RM (about 10 euro). 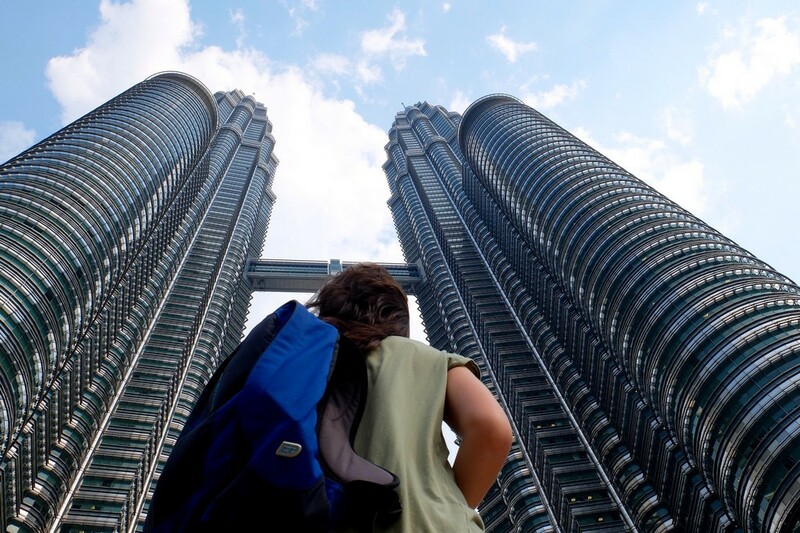 If you love just to wander around and love skyscrapers, get off the metro at Petronas towers (metro stop – KLCC) and wander around. There are a lot of tall buildings and their number increases constantly. At some places KL city center looks like a building site. 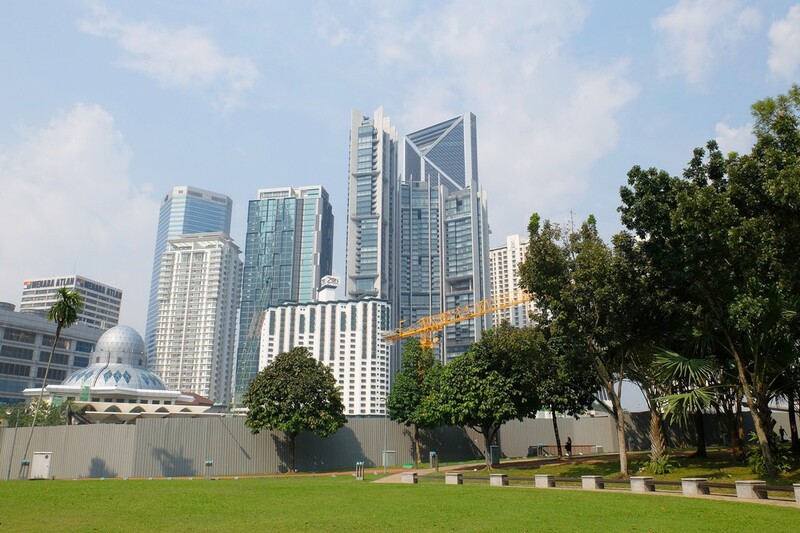 Definitely walk around KLCC park and visit Symphony Lake behind the towers. There is a light and fountain show every evening at the Symphony Lake. Lake Symphony’s fountains are on also during the day – from 12:00 – 14:00 on weekdays, and from 10:00 on weekends and public holidays. Wander around Little India and China Town, the places I mentioned above, in Shopping section. Many interesting buildings and temples are located there. For example, Sri Maha Mariamman Temple in Little India and Sze Ya Temple near China Town. 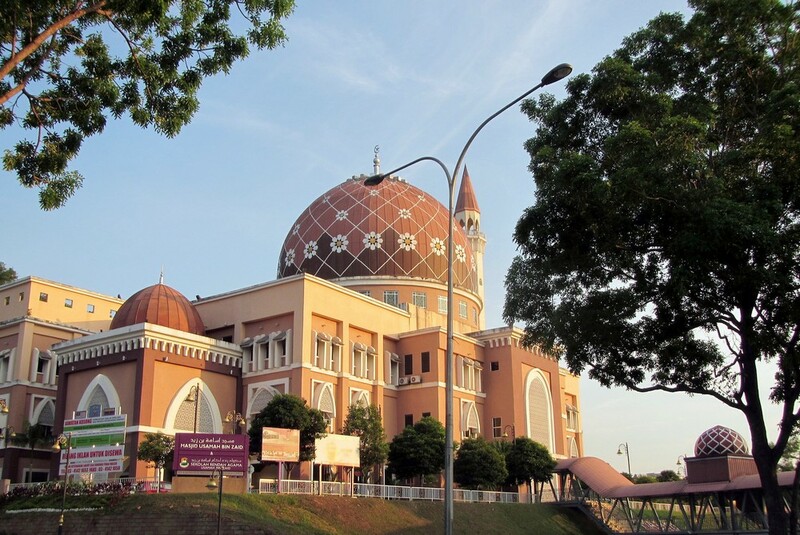 Visit The National Mosque of Malaysia (Masjid Negara Malaysia), which is the national mosque of Malaysia. Jamek Mosque (Masjid Jamek) is another impressive mosque and it is one of the oldest mosques in Kuala Lumpur. Visit Sultan Abdul Samad Building. It is an impressive building which now houses the offices of the Ministry of Information, Communications and Culture of Malaysia. Want to get a bird’s-eye view of Kuala Lumpur? There are two places: Petronas towers’ sky bridge and the observation platform in KL Tower (Menara Kuala Lumpur). Twin towers’ sky bridge connects the two towers, and it is suspended at 170 meters above ground. Buy a ticket at least 2-3 days in advance. The other option is KL Tower’s observation desk, which is located 276 meters above ground. The ticket costs 52 RM (about 13 EUR). But if you want to get even higher, it is also possible. Buy ticket for 105 RM (about 21 EUR) RM and you will be able to go to The Skydeck, which is the 360° platform on the top part of the tower. If you are into theme parks, there are a couple of theme parks in KL and a couple – outside KL as well. The best, in my opinion, is Sunway Lagoon theme park. It is one of the best theme parks in all of Asia and it is grand! There are several areas – parks inside the park. Nickelodeon Lagoon, Water Park, Amusement Park, Wildlife Park, Scream Park and Extreme Park. Tickets cost 150 RM. Admission Ticket includes entry to all parks and all attractions. Well, to most attractions. As there are few pay-per- ride activities, for example, Bungee Jump. See also our list of the best places to visit in Kuala Lumpur! I really hope you won’t have any health issues during your travels, but better safe than sorry. There is a good government hospital, not far from the city center, on Jalan Pahang street. It is one of the largest hospitals in Asia. I am not surprised about this fact, as this is not the first place in Malaysia which is regarded as “one of the largest something” or “biggest something”. Malaysians are really good at many things. Anyway, hospital charges are not high. I fractured my finger in KL (fell from a bike) and paid 50 RM (about 12.5 EUR) for an inspection, an X-ray, medicine and a cast! Of course, this wasn’t the only one time I went there. I paid another 100 RM (about 25 EUR) for another two visits, and again this paid for everything (another X-ray and medicine). Remember, hospital visit might take some time (in my case – few hours), as the queues are quite long. There are several private hospitals. The most popular private hospital in Kuala Lumpur is Columbia Asia Hospital. But note – these hospitals might be pricey. There are a lot of clinics everywhere in KL, but I advise you to go to one of the hospitals, if you seek medical attention. There are a lot of pharmacies, as well. Some basic medication (painkillers, diarrhea meds, gauze, antiseptic cream and liquid, etc.) you can buy in Guardian and Watsons health and beauty stores. If you still have some questions about traveling in Malaysia, contact us! Disclosure: some of the links on this page are affiliate links. This means – if you choose to book accommodation through these links, we may earn a small commission. This has no effect on the price for you. 1) UBER has been bought over by Grab, so there’s only one ride hailing service available. But it’s still better than taking regular cabs, because even *I* have been ripped off by them. Good to know that you’ve only had good experience with them. 3) Cheap healthcare = public hospitals = long queues. Be prepared to spend about half a day. 4) Petaling street/Chinatown is touristy, so please haggle before buying. It’s really not what it used to be as the stalls are mostly manned by foreign help. For real shopping bargains, check out Kenanga Wholesale Center. 5) Most service staff in food stalls, restaurants, shops etc are not Malaysians, they’re mostly Bangladeshi, Burmese, Filipino, Indonesian or Nepali. So yeah, your interaction could be limited to only non- Malaysians. 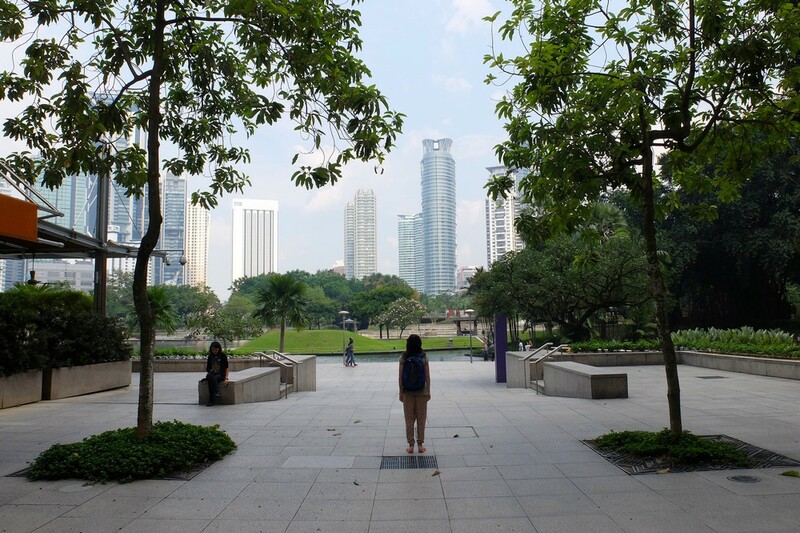 By the way, we have another article about top places to visit in KL, which migh be useful if someone asks you what to do in KL and you don’t want to write/talk too much, ha – https://wearefromlatvia.com/best-places-to-visit-in-kuala-lumpur-malaysia/.